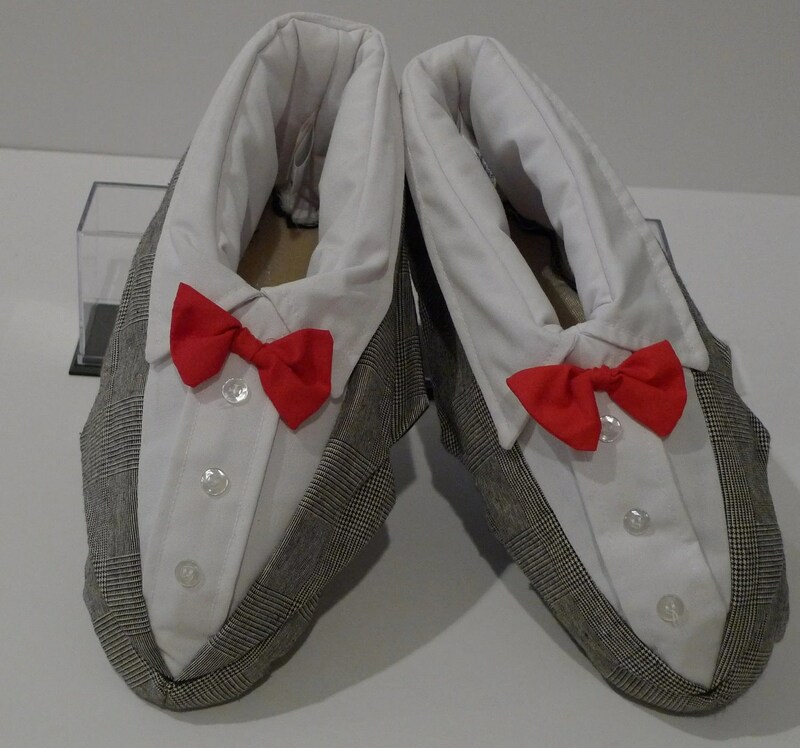 PEE WEE Herman House Slippers Red Bow Tie Black & White Tuxedo design 1989 Novelty Gift from Plattermatter2 on Etsy. Althoguht these have been sold you can look at the other cool retro stuff from Plattermatter2. Thanks to Angela for finding these and sending me the link.